What if the application I need is not available on the market? What if my organization lacks the skills to develop an app in-house? How do I achieve lower development costs? Manvish will draw up requirements, create designs and build & test applications according to the customer’s needs, using expertise in various programming languages (C/C++/Java) and diverse operating platforms(Linux, Windows). Our development methodology is state of the art and encompasses all phases of the software development life-cycle (SDLC). Manvish uses advanced tools and follows well-defined processes in its development activity. We develop robust software that will support the customer’s business and deliver real value over a long life-cycle. We have developed a large portfolio of applications for our clients, from enterprise-size web applications to embedded applications with tiny footprints. These applications are reliable and available, two qualities that customers particularly value. Our application developers concentrate on delivering solutions that mitigate risk and allow clients to focus on their core competence. The waterfall model: One of the oldest and most well-known software development methodologies, Manvish has followed the waterfall model for most of its projects. The advantages of this model include emphasis on documentation and early detection and remediation of defects. This structured approach is preferred for its simplicity and understandability. 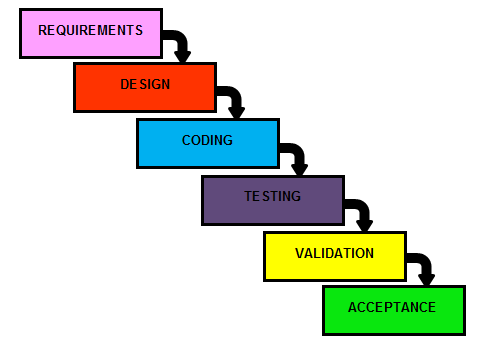 As opposed to the strict regimentation of the waterfall model, the agile model is iterative and breaks tasks into increments or sprints. It comprises multi-functional teams of personnel bringing out products over multiple iterations. Sprints are iterations of a fixed duration ideally, 30 days. Work within a sprint is fixed. Once the scope of a Sprint is committed, no additional functionality can be added except by the development team. 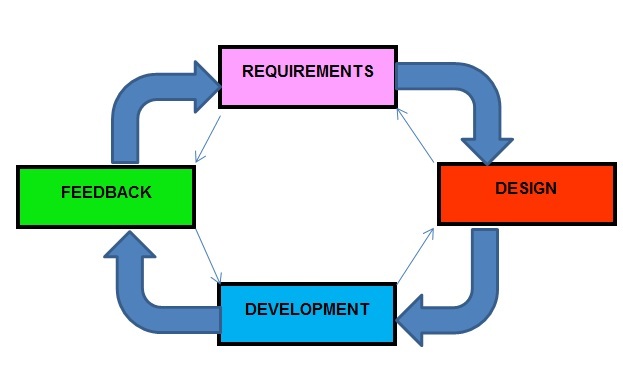 All work to be done is characterized as product backlog, which includes requirements to be delivered, defect workload, as well as infrastructure and design activities. A Scrum Master mentors and manages the self-organizing and self-accountable teams that are responsible for delivery of successful outcomes at each sprint. A daily stand-up meeting is a primary communication method. Scrum also allows requirements, architecture and design to emerge over the course of the project. Scrum, talks in terms of lifecycle phases In the case of Scrum, the phases are Planning, Staging, Development, and Release. Hence we find that Agile Scrum methodology are the best fits. Agile Offshore at Manvish is a proven methodology, which has been evolved over a period of time based on the extensive experiences gained in the past from various projects execution. Manvish simplifies the process of building new applications for the client. All the client has to do is participate in the specification (requirements) phase and Manvish will take care of the rest, delivering complete customized applications in short order. Outsourcing application development to Manvish is time & cost-effective and introduces efficiencies in our client’s business. Manvish takes full responsibility for the application and ensures smooth integration into the client’s existing software framework.